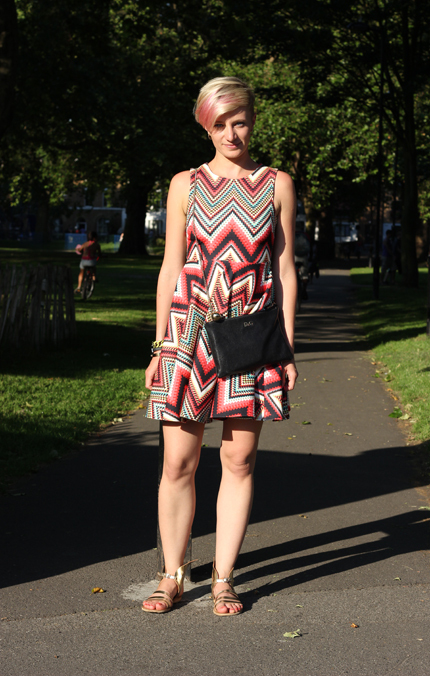 See Lana’s graphic print dress & Ancient Greek winged sandals n the park. 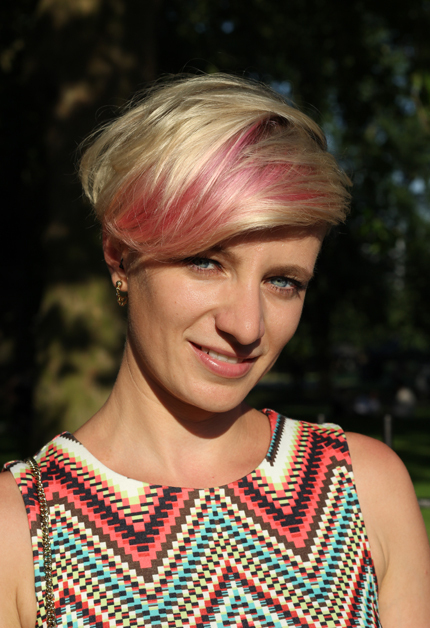 Lana Fedina, 26, is a Marketing Assistant living in Bethnal Green. She’s pictured in London Fields park with her pink flash cropped hair, a graphic print dress from River Island, gold winged sandals from Ancient Greek and a D&G bag. Love the print on her dress and that it goes with her hair. Next Next post: Ra Ra Bazaar: What Sundays Are Made For!